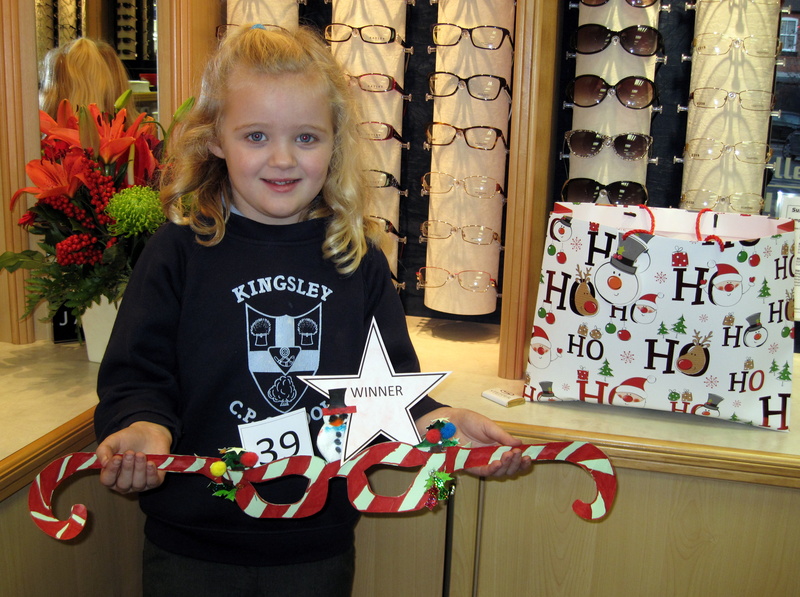 As part of Frodsham Christmas Festival, we asked youngsters under the age of 16 to help us design a pair of Christmas spectacles. We had over 39 entries to this competition to win a Mister Maker art and craft set. Frodsham locals were asked to vote for their winner over the course of last week, with final votes being made at the lights switch on. Beth Rigby was a resounding winner with almost 50% of the votes. A big well done to you Beth. Happy Christmas to all of our customers.